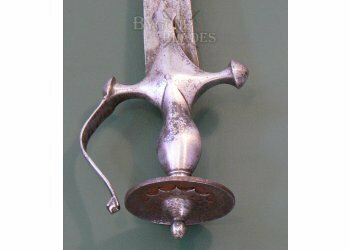 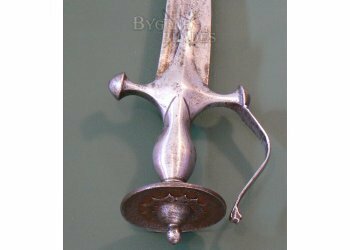 Steel hilt with thick swelled, baluster style grip, long languets and large (70mm diameter) pommel disk incorporating a 12-pointed sun disk typical of tulwar from Rajasthan. 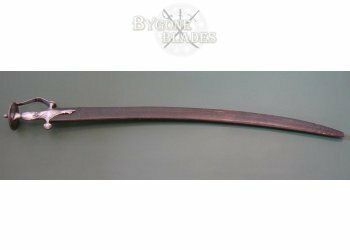 The thick conical domed cross guard continues into a recurved knuckle bow with lion/tiger head terminal. 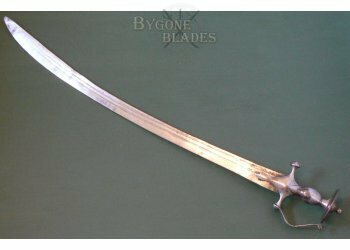 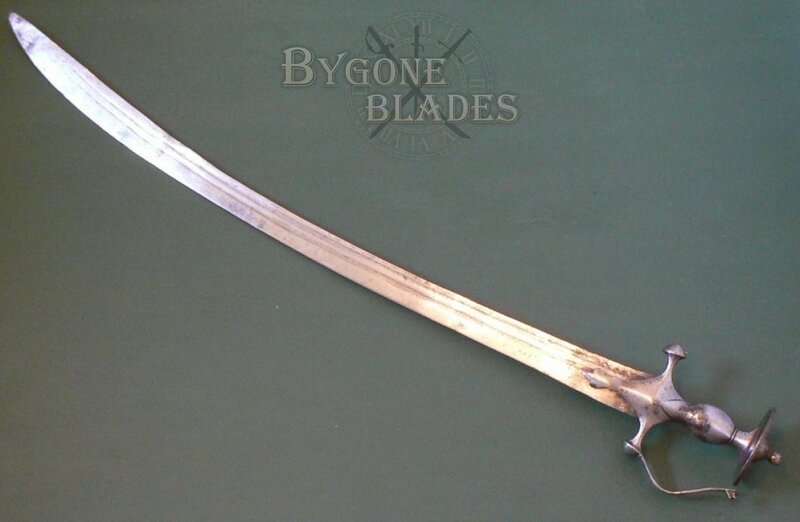 Long, 740mm curved double fullered blade which widens towards the point. 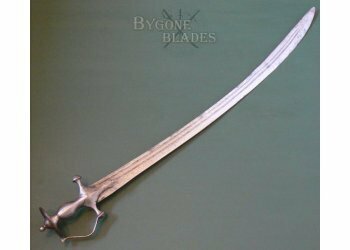 The blade retains its fighting edge and is sharpened for the last 250mm of the back edge. 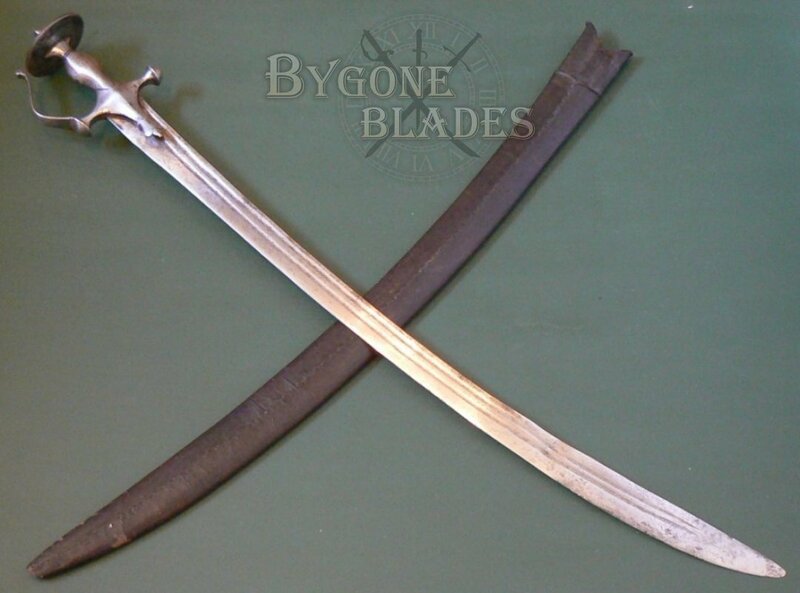 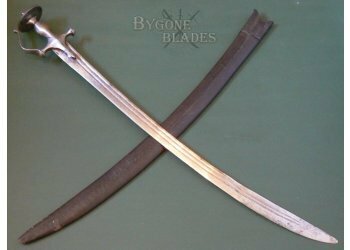 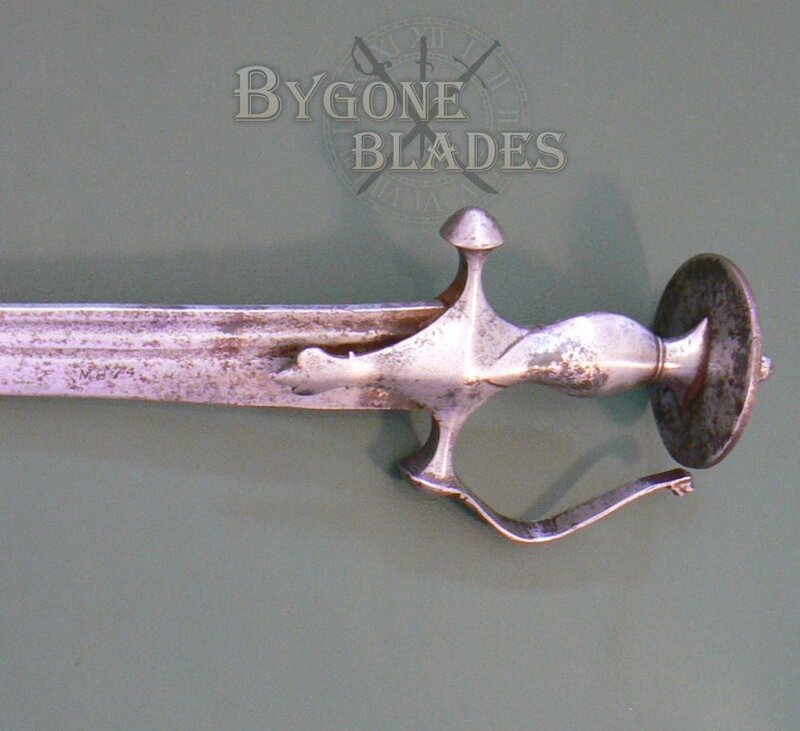 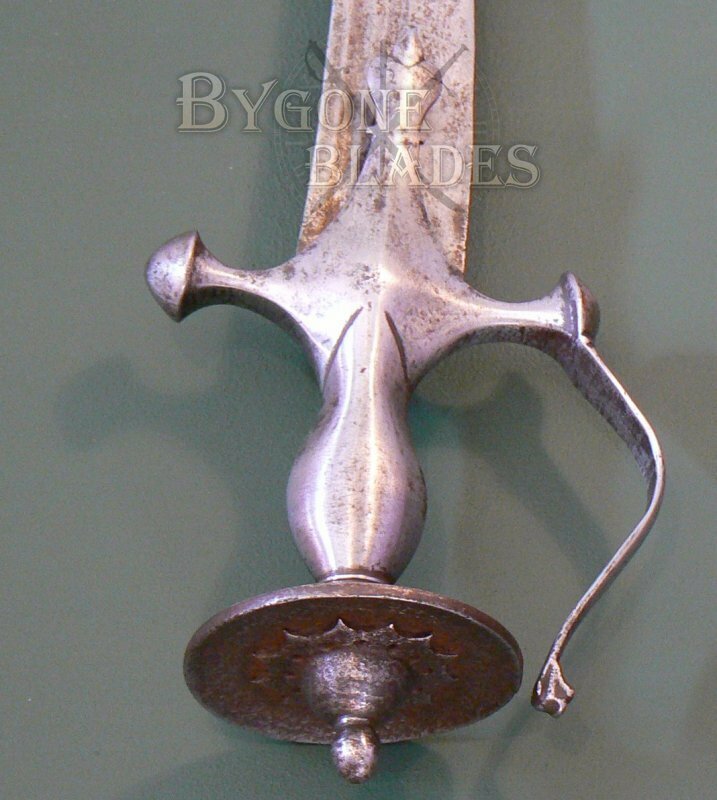 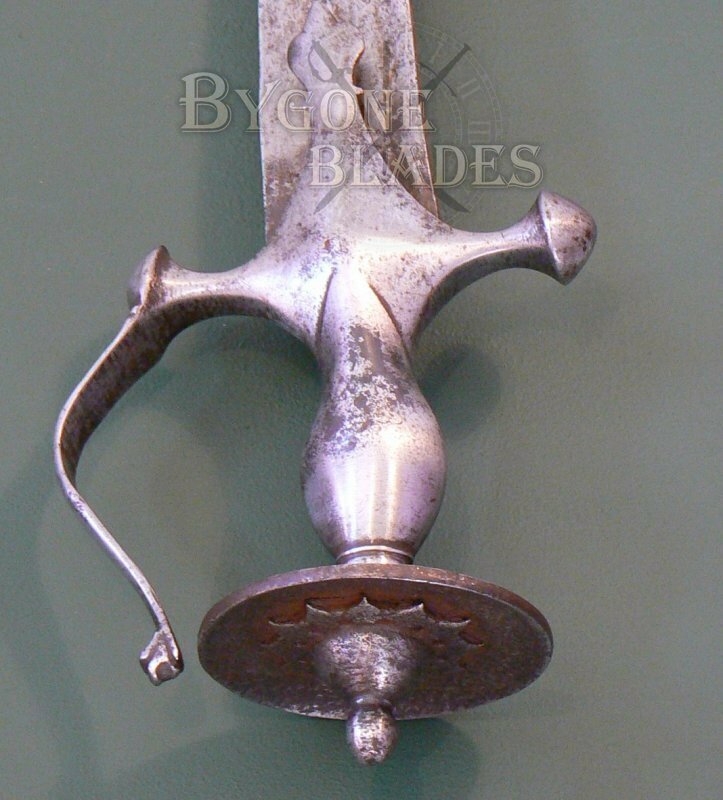 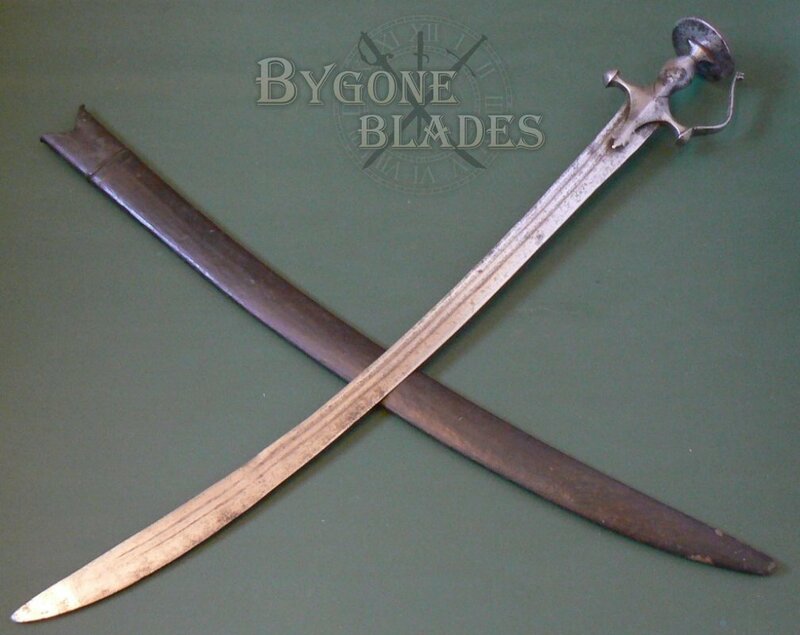 The blade is marked in the European style with “M874.” The use of European style markings was common practice in the 18th and 19th centuries and is intended to imply that the blade is of similar quality to those from Europe. 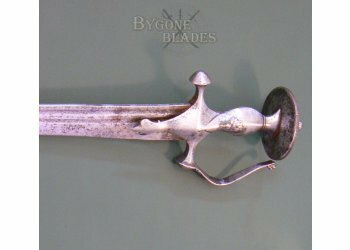 The markings in themselves did not necessarily mean anything they were not unit or maker's marks. 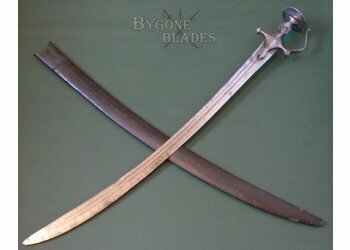 The blade and hilt are in excellent condition for their age with only minor pitting and tarnish. 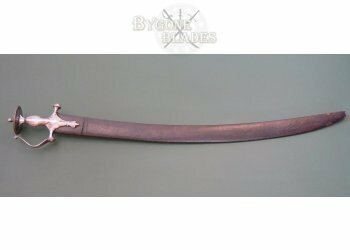 The wooden, leather covered scabbard is strong and intact with minor scuffs commensurate with its age. 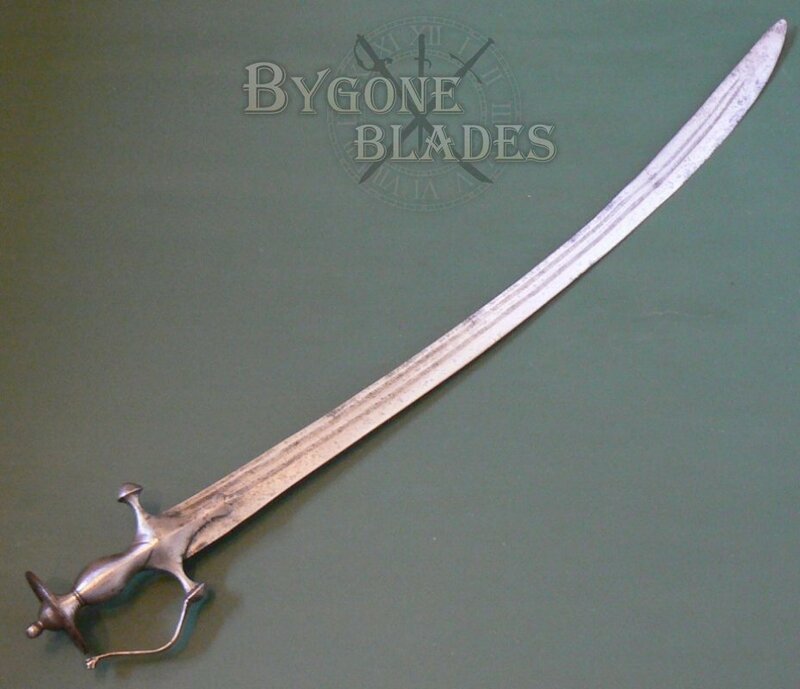 The stitching is intact.